Under the command of the mysterious and lethally effective Col. Jacques Gamoudi, nicknamed Le Chasseur, or "The Hunter", the ferocious battle for the desert kingdom begins. As the world's oil markets plunge into chaos, Admiral Arnold Morgan and Lt. Cdr. 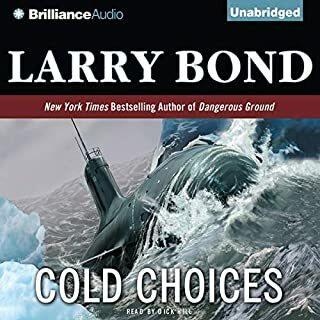 Jimmy Ramshawe are summoned to the White House to discover that Gamoudi has been joined by none other than Morgan's archenemy, Hamas General Ravi Rashood, in the battle for the capital city of Riyadh. When Navy SEAL Mack Bedford's fellow officers are brutally killed by Iraqi insurgents using a cruel, new anti-tank Diamondhead missile, Mack avenges their murders by gunning down the then-unarmed attackers, ultimately getting himself court-martialed and kicked out of the Navy. 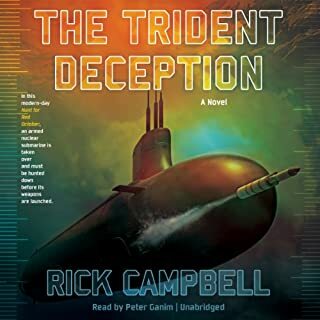 To make matters worse, Mack then learns that the Diamondhead missiles were sold illegally by French industrialist and infamous politician Henri Foche. 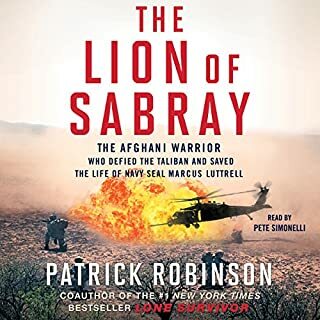 Best-selling author Patrick Robinson helped Marcus Luttrell bring his harrowing story of survival in Lone Survivor: The Eyewitness Account of Operation Redwing and the Lost Heroes of SEAL Team 10 to the page and the big screen. But the Afghani man who saved his life was always shrouded in mystery. Now, with The Lion of Sabray, Robinson reveals the amazing backstory of Mohammed Gulab. On a daring nighttime raid in September 2009, a team of Navy SEALs grabbed the notorious terrorist Ahmed Hashim Abed, the villainous "Butcher of Fallujah," the mastermind behind the 2004 murder and mutilation off our American contractors. 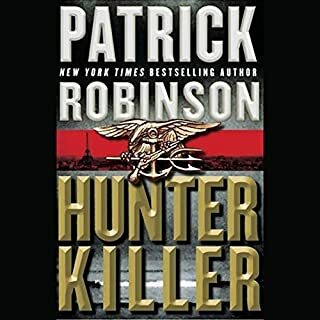 In this no-holds-barred account, bestselling author Patrick Robinson reveals for the first time the entire story, from the night the SEALs stormed the al-Qaeda desert stronghold to the accusations and legaltwists and turns that followed to the cut-and-thrust drama in the court room where the fate of three American heroes hung in the balance. Amid the Canary Islands lies the massive crater of the volcano Cumbre Vieja. Scientists theorize that one day the volcano will erupt, triggering a series of events that would lead to a tsunami wave higher than any in recorded history. This mega-tsunami, with waves of more than 150 feet in height, would ravage Europe, Africa, and ultimately the East Coast of the United States, causing immeasurable loss of life and destruction. It is discovered that Ravi Rashood, America's nemesis, the former SAS officer who is now the head of Hamas, has hatched a diabolical plot against the West: to fire a nuclear-headed guided cruise missile, Scimitar SL-2, named for the curved sword of the Muslim warrior Saladin, into Cumbre Vieja. United States Admiral Arnold Morgan, the retired National Security Adviser, knows something worse is to come after Rashood explodes Mount St. Helens. But stopping him won't be easy. As the terrorists' deadline approaches, Morgan and his team must consider the unthinkable and assume the daunting task of organizing the mass relocation of major population centers along the East Coast to safer ground. Morgan finds himself battling his greatest enemy yet, racing against time to locate Rashood, the silent, underwater marauder, and stop him before the unimaginable occurs. 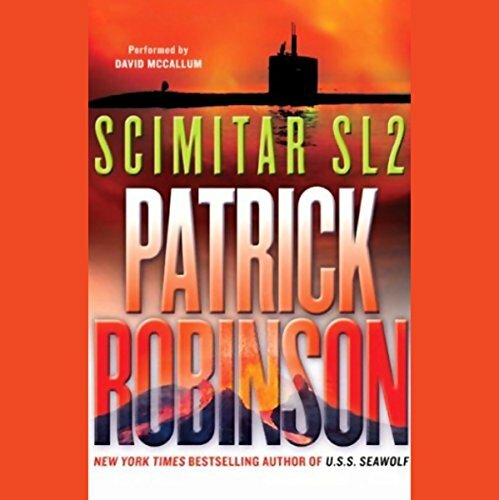 ©2004 Patrick Robinson (P)2004 HarperCollins Publishers, Inc. Poorly abridged or Poorly written?? This had potential to be an excellent story but failed to be really that good. Characters were rather poorly developed, plot got a little thin at times. What really detracted from the story was the gaps. Maybe it got cut when abridged (that is why I prefer unabridged), or maybe left out. But there are huge gaps in the story and it takes several minutes to figure that out. 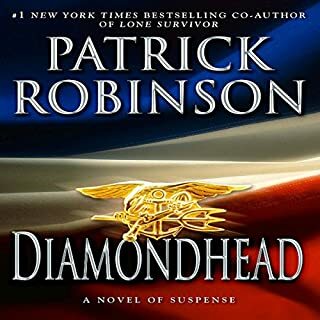 I have read many other books by Patrick Robinson, and would like to hear more by this author. The Scimitar 12 was unbelievable in it?s timing of would events. The down side is that I felt shorted as this was not the unabridged version. I like the way he play?s the character against one another, and in this version some of that is missing. 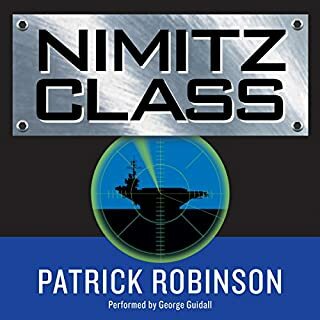 This is a good intro into Patrick Robinsons work, and I hope that audible would get the rest of his works , only in the unabridged version. A non-abridged version would spare many of the inexplicable plot holes and jumps. Everything moved much too quickly, contrary to Robinson's detailed plots. Leave it whole and Bring back George Guidall. Suspect the unabridged version would make the sequence of events more plausible and real. the ONLY redeeming quality about this book was the narrator. it was strained writing, ludicrous story line, too much logistics and hardware specs with way too little actual story or action. oh, and as predictable as they come. BORING! ...and then a miracle happened. Robinson appears to be suffering from the Ludlum syndrome. He's trying to "top" his excellent earlier works by being more far fetched and imaginative. The trouble is that he has lost touch with reality. His hero swiftly and easily seizes control of the U.S. government, then in two weeks manages an evacuation of the East coast. Even if we had all of the omitted parts of this dreadfully abridged work, it's difficult to imagine that he could have made it credible. It's a shame. Robinson's first four best sellers were superb. Nothing recedes like success. The story line was great. Fast paced and very descriptive. However, the short ending left me feeling cheated. I kept looking for another disc. What happened to the thrill of the chase.